A twenty-five year old woman purported to be one of Warren Jeffs's many, many wives, is currently in a women's shelter after fleeing the FLDS compound in Colorado City, Arizona. For reasons that remain unclear, she was apparently shoeless. She sought help from disenfranchised FLDS member Willie Jessop after fleeing her parents' home. Police responded to a "keep the peace call." The sheriff’s deputies helped diffuse what had become a standoff with FLDS men outside Jessop’s office, Wyler said, adding that the woman was taken to a shelter. Jessop declined to provide details about the situation. "It’s all about the welfare of a girl who sought help," Jessop said. "We’re keeping this focused on what’s in the best interest of the young lady." According to some reports, this was not her first attempt to flee Jeffs's compound. This is allegedly not the first time the woman tried to escape and the Washington County Attorney’s Office is investigating. 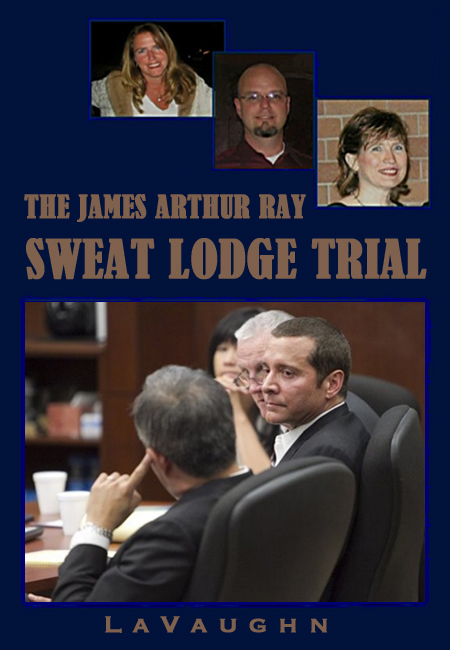 They are looking into allegations he was held against her own will and even drugged. Kidnapping and drugs! Jeffs and his clan really know how to charm the ladies. Jeffs is, of course, in a Texas prison. having been convicted for child molestation because some of many, many wives are a tad young. But even from prison, he seems to have quite a grip on his church and wives, with compounds in Utah, Arizona, Texas, Colorado, South Dakota, and Canada. Few have fled. Colorado City and its sister community of Hildale are the home base of Jeffs' Fundamentalist Church of Jesus Christ of Latter Day Saints. The sect, which has about 10,000 members, practices polygamy in arranged marriages that have sometimes involved underage girls. 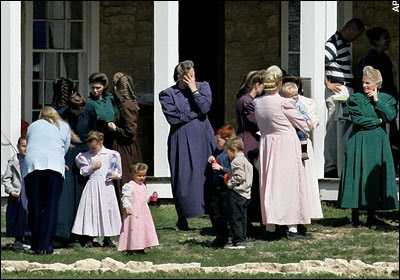 Leaving the devout, insular community has historically been difficult for FLDS members in part because it essentially severs all ties with family and friends. No one seems to know how many wives Jeffs has. One story says 70, another says 85, but most just say "at least 78." Thank you for keeping track and chronicling this case. Your input in regards to it makes it all more clear, and I love that I can go back and see older posts. Warren Jeffs might just be nothing less than a demon. I have heard a small portion of the recordings and never again. It was unbearable. In regards to him, I hope there is a judgemental god exerting vengance in the afterlife, as he is responsible for making this world more corrupt and sad. Please never stop writing, as long as you can. I love your blog. Also, the reason she didnt have any shoes is most likely because she had to leave very fast. My mother was in a violent relationship, and the day it ended, when she was almost killed, she came to my fathers with one slipper. Its one of those mundane things you overlook when terrified. If he indeed did still have loyal followers, they might have been the ones to scare her off. Just a guess, but it seems to me the most likely scenario. Yup, that was my surmise as well. I expect she was terrified. So sorry to hear that about your mother. Too many of these monsters in the world who think they own women.